Typically, anything can be a problem if it has contributed to our getting caught on the wrong side of a situation and in this age of discontent where we social media helps us be voluble about the things that cause us some kind of hurt we think that most ills are either plain to see or relatively straightforward to deal with. That’s not quite so, though. One of the drawbacks of living in what many are calling the age of discontent is that the sheer amount of whining, moaning, bickering, complaining, trolling and fighting is creating a smokescreen that effectively helps some of the most fundamental problems hide in plain sight. Take the “End User License Agreement” (EULA). It’s not just that it is always written in a thin font type with lines pushed closely together but by its very wording it appears to have been created so as to be as much reader unfriendly as possible. Which is why, in the age of communication when we all talk about clear typeface choices, paragraph breaks, headers and pictures to help break up text and guide the eye and even TL;DR summaries, the EULA continues to be the best place to hide the true intentions of a company towards those it hopes to digitally engage with because it can almost guarantee that it will not be read. Now, logically minded individuals will say “what’s wrong with that?” A company providing a product or a service that is going to be consumed in some way by an online population reserves the right to provide a broadly worded document that covers every eventuality in which it may have to protect itself from possible accusations of causing harm. And that, of course, is OK. Except it isn’t. Not really. In a world which is largely transparent, works across timezones and traditional country borders , real profit lies in being able to reduce the cost of traditional marketing and customer acquisition, attract loyal customers who are willing to be brand evangelists and continue to increase market share. 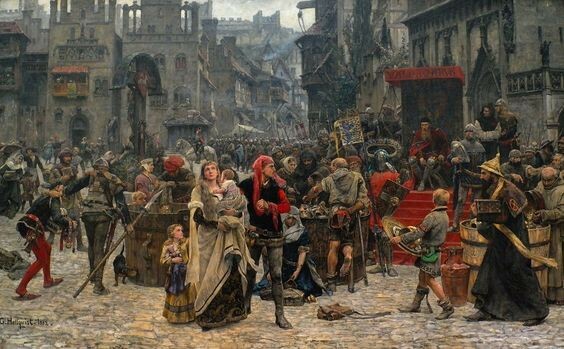 In a medieval market setting the primary selling ‘technique’ is a connection of a person with a person. Paradoxically we know what is required to achieve that and the formula was first given to us by businesses working in a compartmentalized way in hyperlocal environments. In a single word it is Trust. A business that relies on the sustained, repeat custom of those it serves in order to survive, thrive and grow its reputation, quickly learns to Trust those it targets to understand its intentions and makes damn sure that those intentions are fully aligned with its customers’ expectations. This is the traditional “village square” example. We could backtrack and nitpick here. A EULA we could say is part of the relational exchange between two parties forming a framework that enables trust to arise. We buy a piece of software, for instance, or agree to be members in a social media platform and the company that provides the product or the service stipulates some terms of service so we are all aware of what’s involved. That is a relationship held together by mutual tension. What trust is built tries to mitigate that tension. I am afraid it’s not that simple. That transactional approach is perfectly fine in a compartmentalized, siloed, faceless world, where the relationship between two parties is largely asymmetrical. We are handing over money (or personal data) in the hope that what we get in return will benefit us but we have no way of knowing in advance. So, in that instance we are actually extending a vote of trust that is akin to a small leap of faith. It’s an action that creates a relationship where each party needs to make sure they have some legal backing should things go south, because they can both feel aggrieved pretty quickly. In a connected transparent, social media driven world on the other hand, a Tweet can make or break a company’s reputation and cost millions of dollars of damage. There is an inherent symmetry of power that is kept in balance by an understanding of mutual need. We need to use Google search, for example, and are then willing to agree to specific personal data of ours to be harvested. We need to use a suite of digital, creative products and agree to Adobe’s ever intrusive (and now damaging) Cloud Based updates. In that environment as evidenced by Adobe’s Creative Cloud debacle mistakes made by the company are punished quickly in terms of brand equity losses and even further compensation. When social media is added to the mix size is a disadvantage. The power shifts disproportionately to the individual. The only redress in that environment left to a company is to cross the traditional divide between itself and its customers and actually allow them to experience what it does, and how it is different in a way that makes them understand why they should choose it over a competitor. That environment does not really need a complicated, densely-worded EULA, unless the company in question is also trying to do (or is thinking about doing) things it knows in advance its customers will not be happy about. The hope here is that by the time they discover what the company is doing they will have either been hooked by its service and find it hard to move away or have already given up whatever the company wanted in the first place and now it is too late to do anything about it. You may think this is nit-picking. There are a gazillion other, more public and possibly more pressing causes to focus attention and effort on and I agree. But this is an important one too because it is a pervasive one. 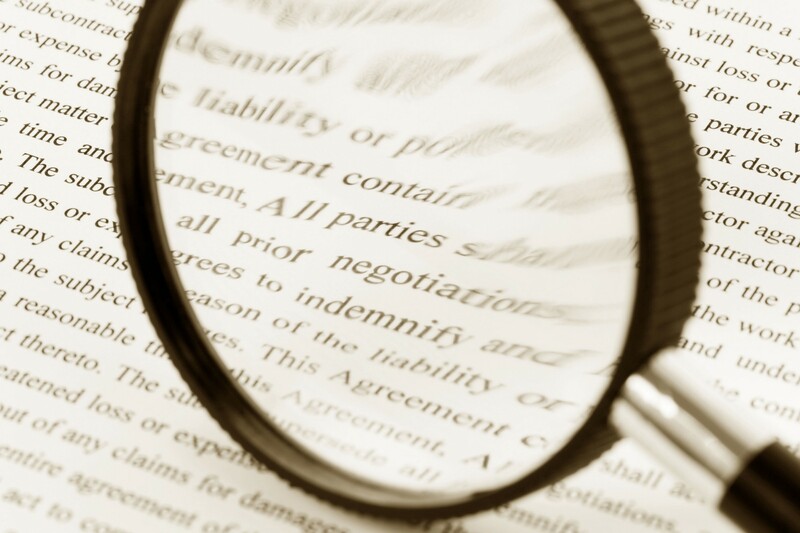 The EULA and its ubiquitous presence everywhere is symbolic of the kind of thinking that accepts the one-sided, opaque, closed-doors, special-interests agreement we left behind. It strains relationships unnecessarily. It creates low-trust relationships that effect everything. More than that, it indicates that the mindshift that has to happen in order for the world to change, despite some notable examples, has not yet really taken place. And, really it needs to. Boning up on trust? Find out how to make it work for you in my latest book:The Tribe That Discovered Trust. Visit the Building Trust Resource Page for more tips, articles and resources.